Want to increase your affiliate income without doubling or tripling your traffic? I’ve got two words for you: special perks. 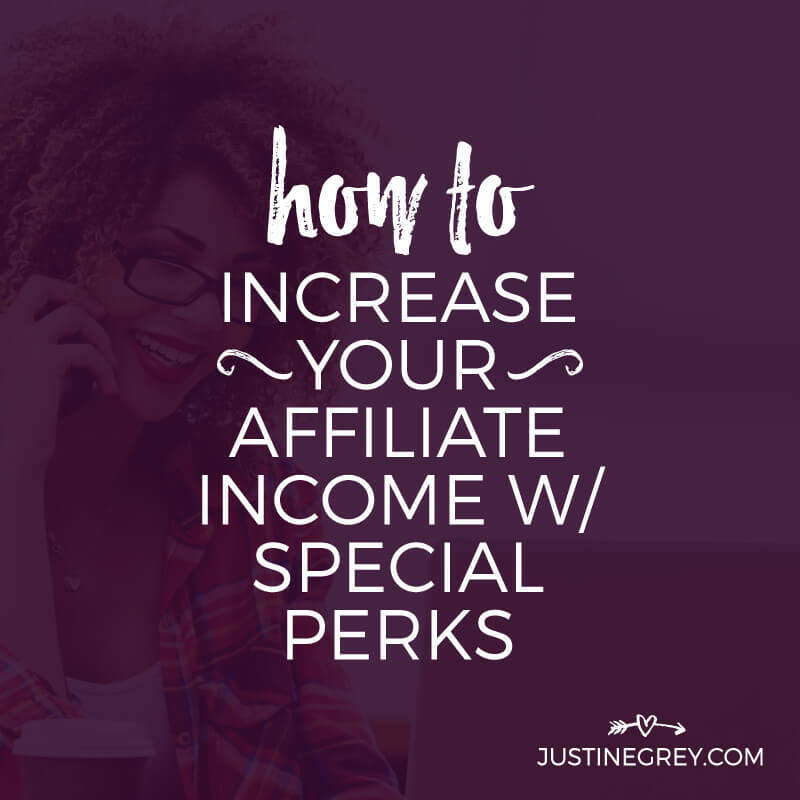 Special perks are what I call uncommon promotional tools and resources your affiliate manager can give you to increase your conversions and commissions. But Justine, why would they be willing to share extra stuff with little ol’ me? 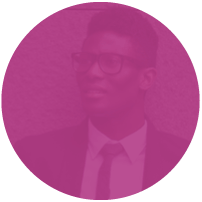 First, your affiliate manager wants you to succeed so if they can give you a special perk to improve your performance, they will. Second, sales driven by content affiliates have risen 240% in the past 2 years. Which means now more than ever, affiliate managers are investing additional time and resources into helping bloggers and content creators thrive in their affiliate programs. 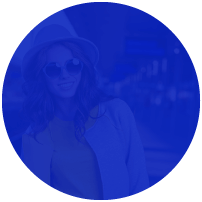 Sounds great – how can I take advantage of these special perks you speak of? 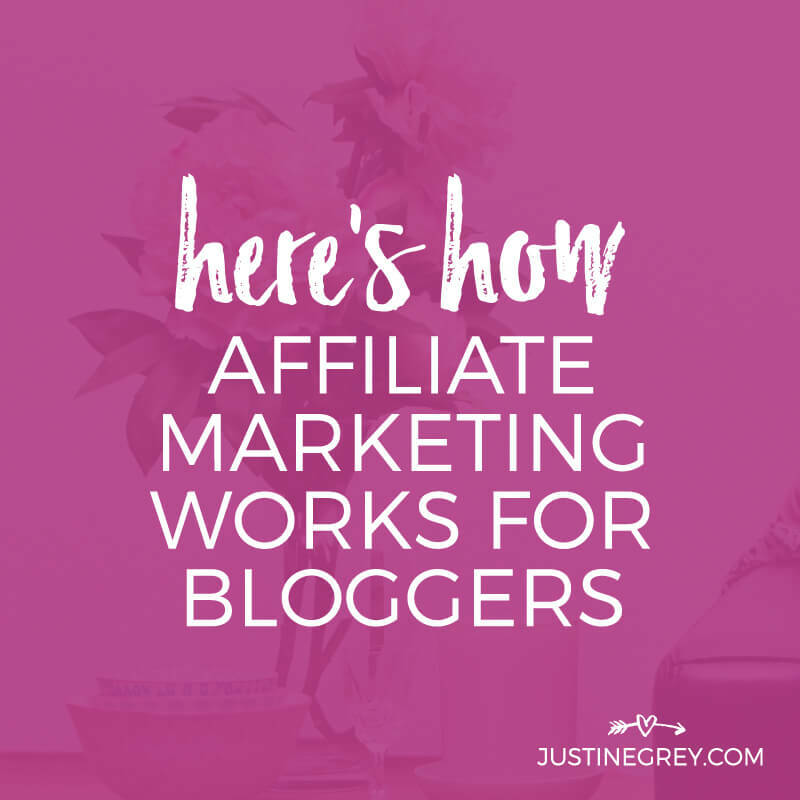 Affiliate marketing can be a powerful way to make money blogging, but it won’t work unless you experiment with your affiliate links. When I got approved to my first affiliate program, I used my affiliate links in a couple different ways and made a whopping zero dollars. I considered walking away right then and there – and sadly many bloggers do just that. But I kept at it. 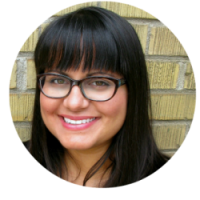 Within a few months of trying new tactics using my affiliate links, I earned 5 figures. Nearly a decade later, I continue to use this experimental approach with my own content and recommend it to the lovely affiliates I interact with as affiliate manager for companies like FreshBooks and Gusto. 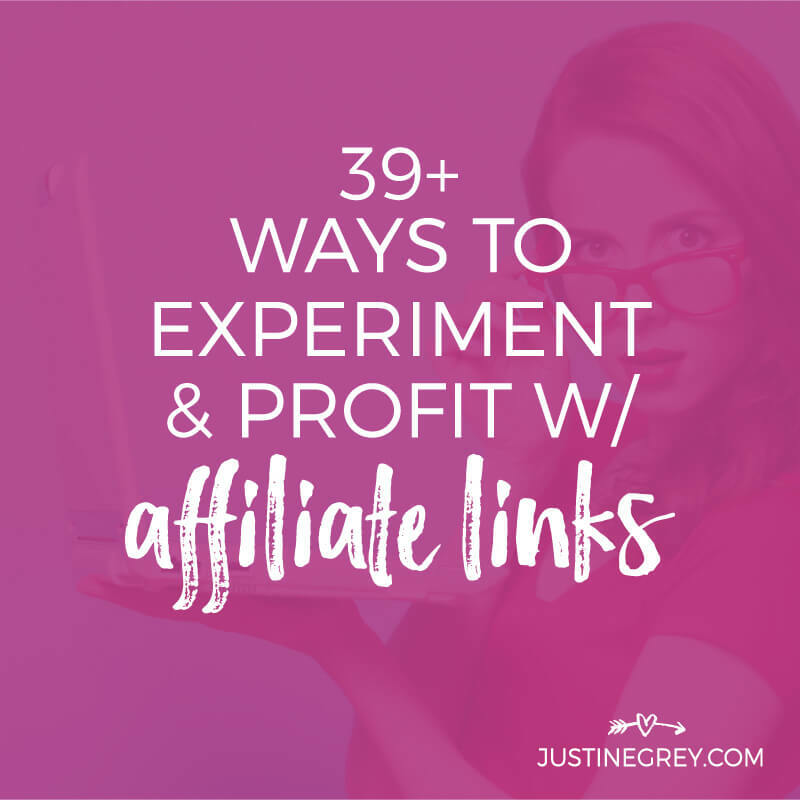 Now if experimenting with affiliate links sounds daunting, don’t worry – I’m going to make things simple. If you were in the middle of a high stakes Poker game and ran out of cash, would you risk betting your blog or business to keep going? But by failing to blog without a proper affiliate disclosure, you’re gambling with your professional assets every single day. 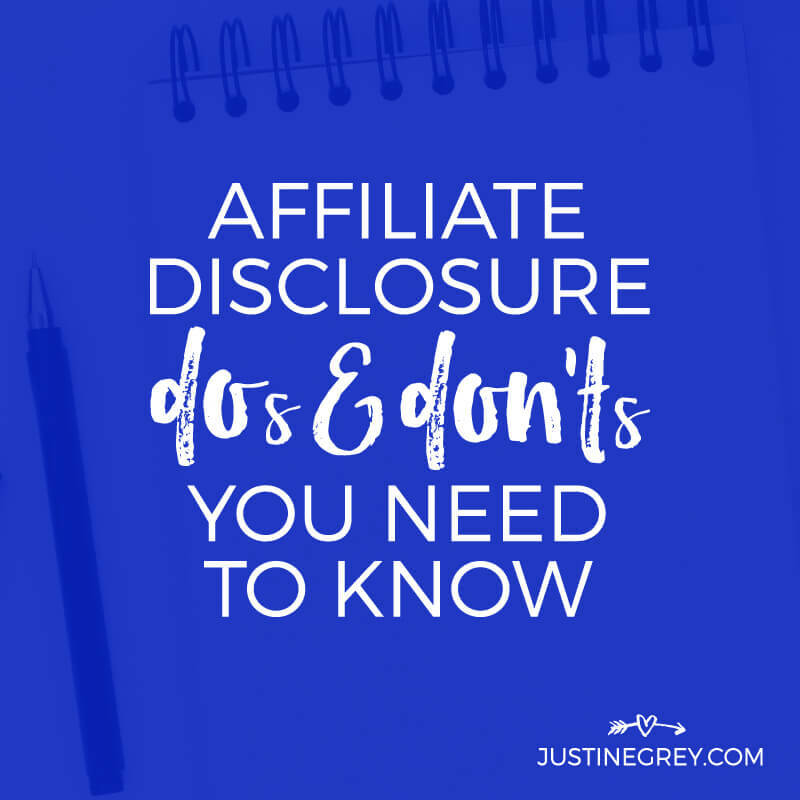 An affiliate disclosure is a disclaimer statement that informs consumers or potential buyers that you are in a paid relationship with the company or person you’re linking to as an affiliate. 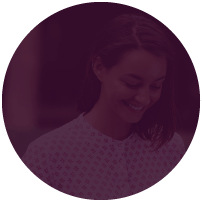 Did you hear that affiliate marketing is a great way to make money from your content? Good news: you heard right! Unfortunately, you aren’t exactly clear on how affiliate marketing works or how to get started. More good news: that’s what today’s post is all about! The easiest way to explain how affiliate marketing works would be to answer a few primer questions so you know what it is, why you should try it and when to get started. I like to define affiliate marketing as a partnership between a publisher (i.e. blogger) and a merchant (i.e. retailer). The merchant sells products online and the publisher creates content online. When they partner up, the publisher joins the merchant’s affiliate program (either hosted on a pro affiliate network or self-hosted tracking platform) and upon approval, logs into a dashboard to get things like promotional materials, performance reports, and most importantly, their unique affiliate tracking links.